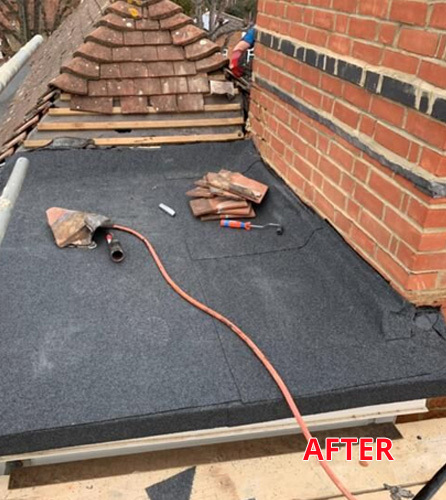 If you are looking for the installation of a new, quality flat roof then you have come to the right place. 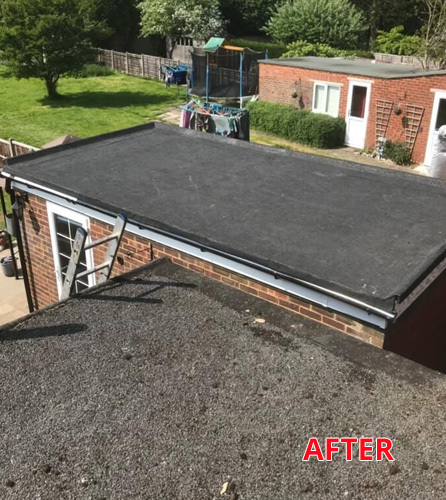 We install our flat roofs from either traditional felt or the more modern GRP fiberglass, both of which are hard wearing and fitted to the highest of standards. Our specialist team will discuss with you which material would be best for your application and offer you a free no obligation quotation at a competitive price. Felt has been used for flat roofing for decades now and is a proven roofing material with durability and strength. GRP fiberglass on the other hand is a relatively newcomer to the roofing industry but is proving to be very popular. It offers UV resistant qualities along with looking great and requiring virtually no maintenance. To be members of The Federation of Master Builders and The Confederation of Roofing Contractors, our flat roofing work is constantly vetted and approved which gives our customers peace of mind that they have chosen a reputable roofing contractor. All of our highly skilled roofers are City & Guilds qualified, you can see what our customers are saying about us by taking a look at our genuine customer reviews on our Trustatrader and MyBuilder pages. We have local references available upon request too. We offer a minimum guarantee of 15 years on all of our flat roofing solutions. 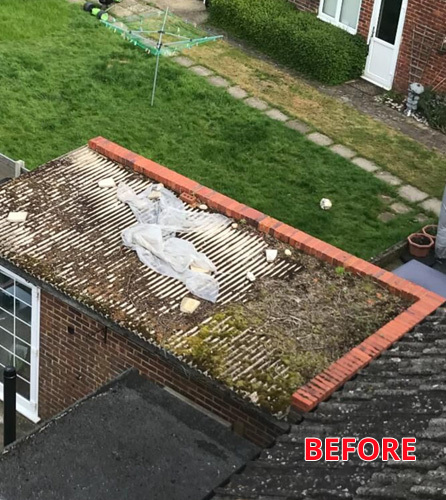 If you have an asbestos flat roof that needs replacing or repairing, then contact the experts at JBL Roofing & Guttering Services. Asbestos needs to be handled professionally and with care, our team have over 50 years’ experience in the handling and disposing of this dangerous material. If it is not removed correctly you could expose yourself to ill health and also endure a hefty fine. 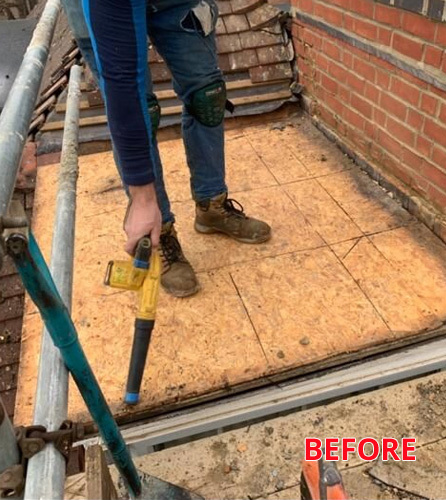 If you have an existing flat roof and it is leaking then do not despair, our team have a wealth of knowledge in repairing flat roofs and we welcome all enquiries regardless of their size. So, give JBL Roofing & Guttering Services a call today to discuss your flat roof requirements, we look forward to helping you with all of your roofing needs.